Along with traditional wedding components, unique and personal touches can run through your entire ceremony. Our past clients have chosen elements such as unity candles, releasing of doves, blending of families, presentation of flowers to family members, traditional Spanish coin (Arras) ceremony, and even wine ceremonies. If you have no specific ideas for your ceremony just yet, rest assured that we will provide you with plenty of suggestions to create an incredibly memorable union to celebrate with all your guests. After performing thousands of ceremonies, we have created many of our own unique combinations to ensure the ceremony's seamless flow, making your day as perfect as it can be. 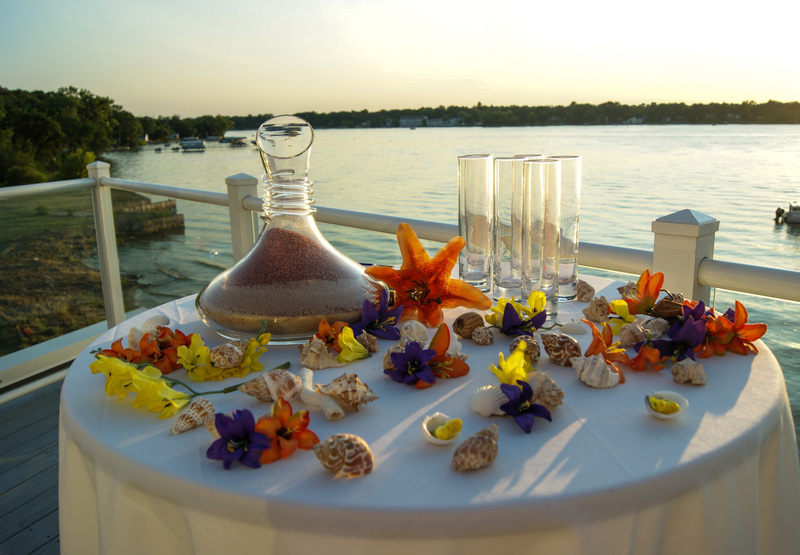 Pictured below is a sand ceremony that was designed as a unity gesture to bring together the family members of the bride and groom.